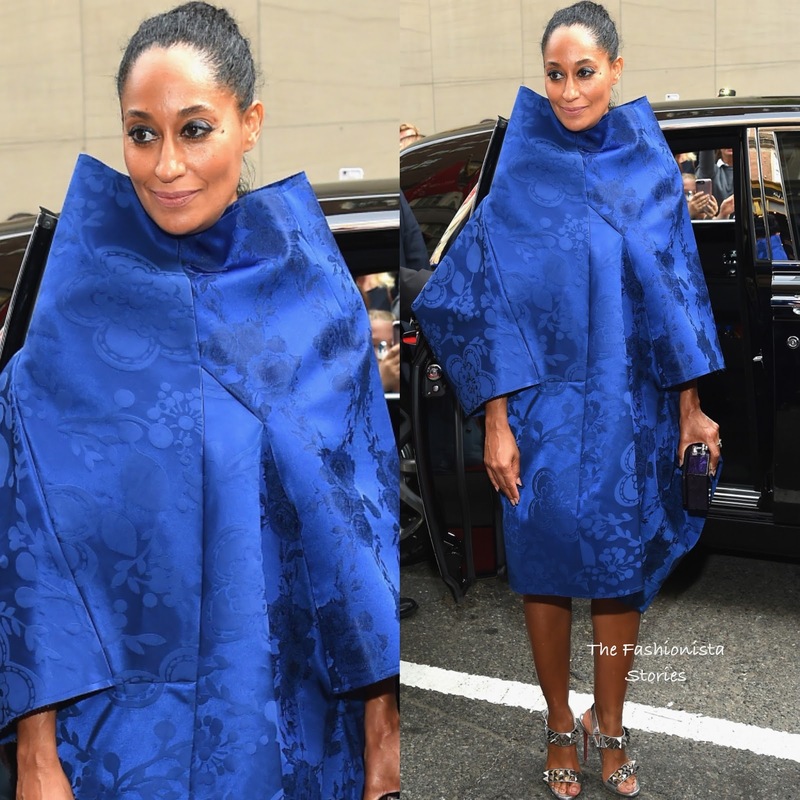 Tracee Ellis Ross always has fun with her fashion choices which is why I adore her style. She was spotted heading to the Kawakubo Comme des Garcons-Art of the In-Between 2017 MET Costume Institute Gala this evening(May 1st) at the Metropolitan Museum Of Art in New York. Staying on tune with the theme, she wore a cobalt blue three-quarter sleeve COMME DES GARCONS sculpted floral coat dress which featured a high neckline. The statement dress is so Tracee and even though I wish she pulled the neckline down in the front, I still like this look. A statement clutch, LOUBOUTIN sandals, smokey eyes and a high bun finished up her look. she looks amazing. she followed the theme of the night and honored Rei Kawakubo who the Met gala was honoring.